I was looking for something extra to round out my menu for a recent barbeque and found this berry salad. It is so easy but it packs a punch. The balsamic brown sugar sauce leaves your guests wanting to lick the bowl. Maybe that was just my group of friends. Not sure what that says about us but we loved every bite. Tracy, my fellow foodie friend, thought it would be great over vanilla bean ice cream. In a small bowl mix the balsamic vinegar and brown sugar together. Set aside. 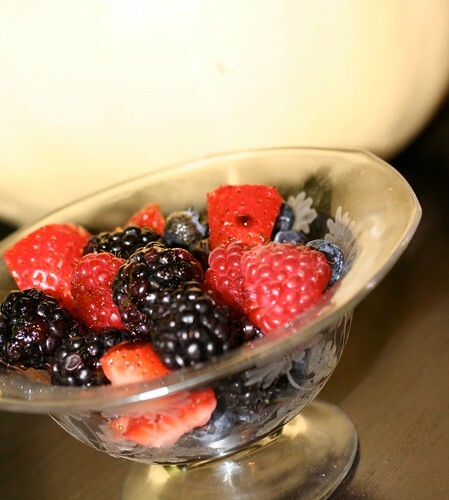 Place the berries in a bowl and right before you serve mix in the sauce.